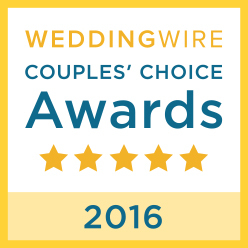 Voted Canada's Best Wedding Officiant and Celebrant Service for 4 years and counting! Toronto Wedding Ceremonies by All Seasons, has been serving Toronto, North York, Don Mills, Vaughan, Etobicoke, Brampton, Markham, Scarborough, Mississauga, and surrounding communities since 1996. The team of professional male and female wedding officiants are specialized in personalized non–denominational or spiritual wedding ceremonies. Your custom marriage ceremony can be at a wedding location of your choice. We proudly respect all people's right to marriage, regardless of sexual orientation. One of our team of professional, provincially licensed, bilingual, male and female wedding officiants will meet with you to discuss and implement YOUR vision of your wedding ceremony. We will send you a sample wedding ceremony to work with, and you may personalize the wedding ceremony to reflect your own style, values, and personal spirituality as they are reflected in your wedding vows. You may craft your own wedding vows, and include others in the wedding ceremony. One of our specialties is involving children in the wedding ceremony in very memory making ways. In addition, we will share our wedding experiences, resources and ideas with you so that together we can build a wedding ceremony you will remember and treasure forever and your family and friends will adore. From experience we know that your goal is to have a memorable and stress free ceremony. Our team of selected professional officiants know this, and are focused to support you, and help you and your guests experience your perfect day your way. Please ask your caterer, photographer, reception venue host or D.J about Toronto Wedding ceremonies. I am sure you will be glad you did. 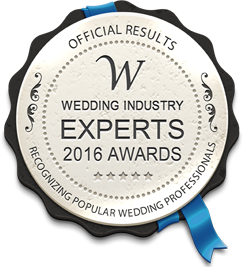 We prize their valued opinions and enjoy working with these wedding professionals. We invite you to browse the Toronto Weddings web site for more information and we look forward to participating in your special day. If you have immediate questions or need information and pricing on our various wedding packages, please contact us via our web form. Thank you so much for sharing in our special day! Steven beyond exceeded our expectations and we received so many wonderful compliments regarding our ceremony. We both felt extremely comfortable with Steven and are so thankful he could be part of our special day. He made it truly memorable. 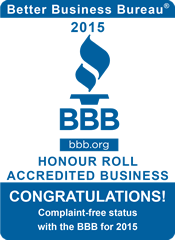 He was extremely accommodating to all our needs and was extremely punctual and professional each time we met. We will definitely be recommending him to our family and friends! Donna Baydak was brilliant. She was very personable and kept our ceremony intimate which is what we wanted. Donna was very professional and the manner in which she conducted our wedding ceremony was exceptional. We have only great things to say as she was an integral part of our perfect day. We would recommend her to anyone in need of an officiant. Thank you! Linda Kasprzak was simply amazing - she helped our whole ceremony be stress-free! Everyone enjoyed themselves and we got so many compliments on how lovely the ceremony was. Thank you Linda!!! !